Newcastle United transfer speculation | NUFC Blog. Archive for tag: Newcastle United transfer speculation. Newcastle United look like a team going places – well, at least to Europe – and they’re sure to need to strengthen the squad to cope with it. Cue a string of rumours about alleged interest in various players. 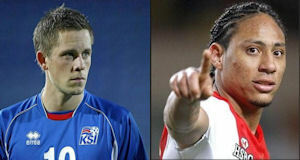 According to The Daily Mirror, Alan Pardew has made ‘discreet enquiries’ about the availability of Gylfi Sigurðsson. So discreet were these enquiries that The Daily Mirror could offer no evidence of them taking place other than their say-so, although we were apparently interested in the Hoffenheim player before his loan move to Swansea so it’s possible that there’s some truth in them. 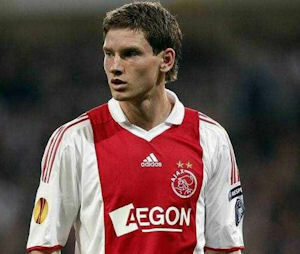 Newcastle United are allegedly interested in Ajax’s Jan Vertonghen but is he a realistic target given the interest of some fairly big clubs? According to The Chronicle the latest player of interest to Newcastle is Ajax captain Jan Vertonghen but, personally, I reckon he might be a bit pricey for us. The 6ft 2.5in, 24 year-old, left-footed Belgian international is estimated to be worth £10m+ and the Dutch press seems to be reporting interest in him from Arsenal and Man Utd rather than us. Furthermore, one article suggests Arsenal’s interest stretches to €18m, which is nearly £15m and, I would suggest, well outside what we’re likely to pay for a player. If there’s any truth in it though, we’d be after a fairly experienced player with 233 club games and 30 goals to his name, and 36 appearances for Belgium in which he’s scored twice. The Dutch press appears to offer further suggestions that FC Twente’s Douglas is bound for Newcastle United this summer, although perhaps the most pertinent question is whether or not we lose any of our current stars this summer too. Further to an article I posted last week about Newcastle’s interest in FC Twente’s Douglas Franco Teixeira, the Dutch football magazine ‘Voetbal International’ has said that the 24 year-old central defender is indeed likely to switch to Newcastle this summer. They suggest that a fee of €5m (£4.12m) has been ‘prepared’, which is about half the figure I mentioned in the previous article (which I got from the ‘Transfermarkt’ site). This makes sense I suppose as he will in fact be out of contract this summer.